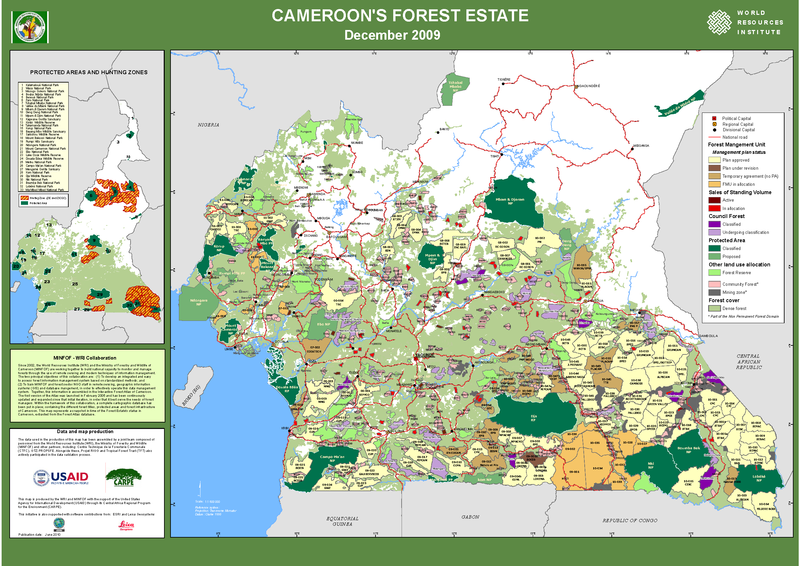 This map shows forest land allocation in Cameroon as of December 2009. It includes detailed information about management plan status of forest management units (approved, under revision, temporary agreement), sales of standing volume (active or under the process of allocation), council forests (classified or under classification), protected areas (classified or proposed). Unlike previous maps, it incorporates information on mining, community forests and forest reserves. National roads are also included.